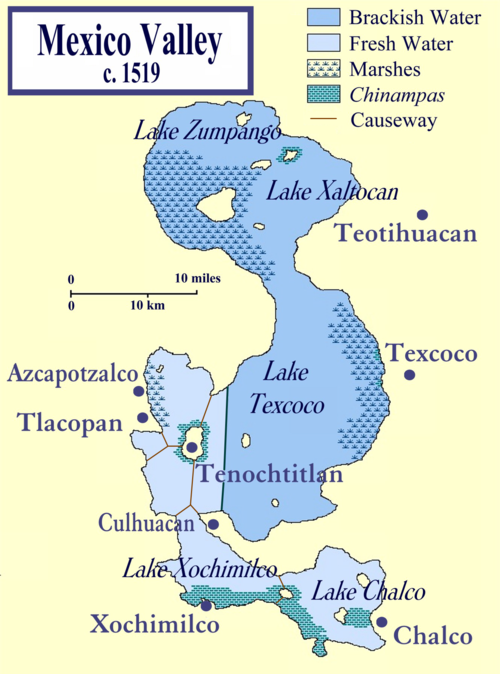 Tenochtitlan was one of two Nahua āltēpetl (city-states) on the island, the other being Tlatelolco. 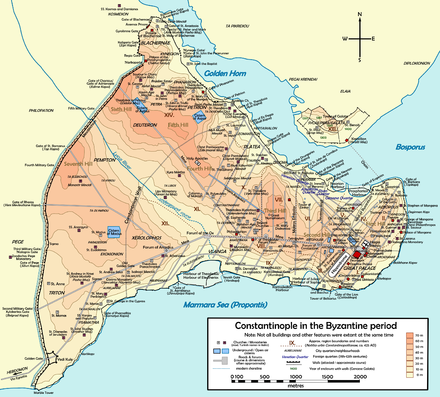 Tenochtitlan is the southern part of the main island (under the red line). The northern part is Tlatelolco. The Tlatelolco Marketplace as depicted at The Field Museum, Chicago. 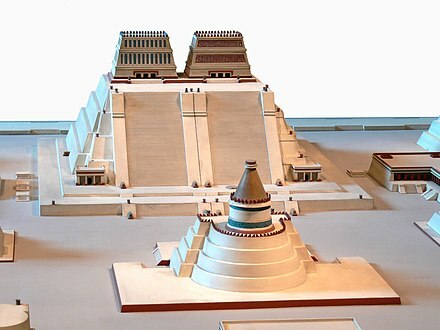 Tenochtitlan and a model of the Templo Mayor. Mexico City statue commemorating the foundation of Tenochtitlan. Fundación de México (The foundation of Mexico) – Tenochtitlán by Roberto Cueva del Río. Aztec calendar stone was located in the ruins. This stone is 4 meters in diameter and weighs over 20 tons. It was once located half-way up the great pyramid. This sculpture was carved around 1470 under the rule of King Axayacatl, the predecessor of Tizoc, and is said to tell the history of the Mexicas and to prophesy the future. In August 1987, archaeologists discovered a mix of 1,789 human bones five metres below street level in Mexico City. 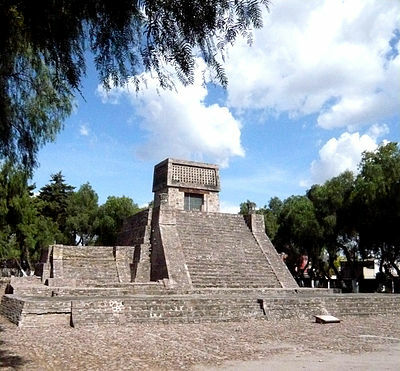 The burial dates back to the 1480s and lies at the foot of the main temple in the sacred ceremonial precinct of the Aztec capital. The bones are from children, teenagers and adults and a complete skeleton of a young woman was also found at the site. Nahuatl p.225, Texas linguistic series, University of Texas, Austin ISBN 978-0-2927-0365-0; OCLC 230535203 ^ Cortés, H. ^ Aguilar-Moreno, Manuel (2006). Handbook to life in the Aztec world. Infobase Publishing. p. 368. ISBN 978-0-8160-5673-6. Retrieved 2 November 2010. ^ Bernal Diaz Del Castillo, "The Discovery And Conquest Of Mexico 1517 1521", Edited by Genaro Garcia, Translated with an Introduction and Notes?, pp. 269–, A. P. Maudslay, first pub 1928  ^ a b c d Coe, M. 2008, p. 193. ^ a b c Walker, C. 1980, p. 162. 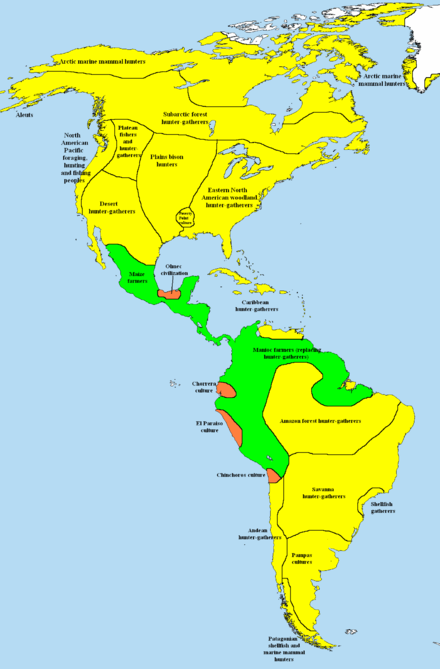 ^ "Newspaper About the Country that the Spaniards Found in 1521, Called Yucatan". World Digital Library. 2011-10-17. Retrieved 2014-06-22. ^ Coe, M. 2008, p. 193 ^ Cortés, H. 1520, p. 87. ^ Cortés, H. 1520, p. 89. ^ Coe, M. 2008, pp. 194–196. ^ Blainey, G. A Very Short History of the World, 2007 ^ Levy, Buddy (2008). 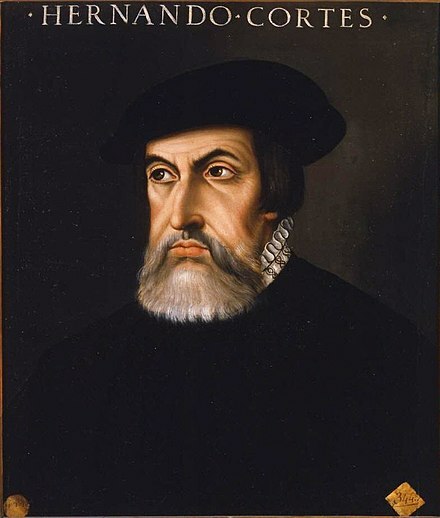 Conquistador: Hernán Cortés, King Montezuma, and the Last Stand of the Aztecs. Bantam Books. p. 106. ISBN 978-0553384710. ^ Butterworth, Douglas; Chance, John K. (1981). Latin American urbanization. CUP Archive. p. 2. ISBN 978-0-521-28175-1. ^ Stannard, D. (1992) ^ Smith (2005), p. 411 ^ Townsend, Camilla. "Burying the White Gods: New Perspectives on the Conquest of Mexico," American Historical Review (June 2003) ^ Townsend,Camilla.2006. 102–103. ^ Cortés, H. 1520, p. 69. ^ Cortés, H. 1520, p. 71. ^ Cortés, H. 1520, p. 70. ^ Cortés, H. 1520, p. 72. ^ Cortés, H. 1520, p. 73. ^ Cortés, H. 1520, p. 77. ^ Stannard, D. 1992, 214. ^ "The Colonial Spanish-American City: Urban Life in the Age of Atlantic Capitalism", Jay Kinsbruner, University of Texas Press, 2005, p. 20, ISBN 0-292-70668-5 ^ Stannard, D. 1992, 109. ^ Townsend,Camilla.2006, 109–110. ^ Snow, Dean R. (2010). Archaeology of Native North America. Boston: Prentice Hall. ISBN 978-0-13-615686-4. ^ Walker, p. 162–167 ^ a b A.R Williams (29 August 2012). "Venerable Bones". National Geographic. J. M. Cohen (trans.) (6th printing (1973) ed.). Harmondsworth, England: Penguin Books. ISBN 0-14-044123-9. OCLC 162351797. Smith, Michael E. (May 2005). "City Size in Late Post-Classic Mesoamerica" (PDF). Journal of Urban History. Beverley Hills, CA: SAGE Publications. 31 (4): 403–434. doi:10.1177/0096144204274396. OCLC 1798556. Retrieved 2008-02-01. Soustelle, Jacques (1984). La vida cotidiana de los aztecas en visperas de la conquista (in Spanish). Mexico City: Fondo de Cultura Economica. Stannard, David E. (1992). American Holocaust: Columbus and the conquest of the New World. New York, New York: Oxford University Press. Walker, Charles (1980). Wonders of the Ancient World. New York, New York: Crescent Books. Townsend, Camilla. 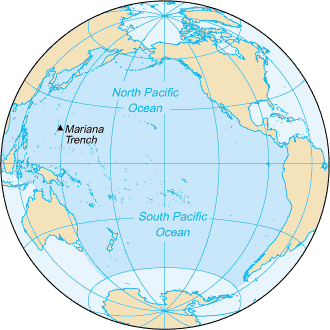 Malintzin's Choices: An Indian Woman in the Conquest of Mexico. Albuquerque: University of New Mexico Press, 2006. Print. Pre-Columbian Art and Archeology 20. Washington D.C., Dumbarton Oaks 1979.